Europe is among the strongest of the nine regions that are involved in PUBG Corp.’s ambitious esports plans for its Battle Royale title. Named the PUBG Europe League, it’s one of six regional leagues that will run throughout the 2019 season – with an additional three regions having its own professional circuit. 16 teams will compete in each of three phases that the league comprises of, but it’s hard to separate the best from the worst considering just how skilful the region has proven to be. The PEL is the first universal test that’s comprised of the top-tier European teams, however, so the outcome will be hard to predict. That doesn’t mean we won’t try our hand at predicting the best and worst teams from Phase 1, however! The teams that reached the PEL came from varying methods. 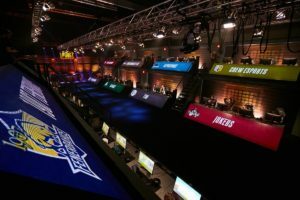 Six teams – including big names such as Team Liquid and FaZe Clan – were directly invited to compete in Europe’s premier PUBG competition. The 10 other teams that are set to compete in the PEL booked their spot through a closed qualifier in Minsk, Belarus. One of the most dominant teams in the past year is Team Liquid, so it’s not hard to see why they’ve made this list. Despite parting ways with Scoom in 2018, the team is still poised to be the stand-out, leading force in the PUBG Europe League. The mechanically-skilled twins Sembty and Jambty, combined with the genius of Ibiza and Jeemzz, will likely prove too much to handle for the majority of their competition in Phase 1 and beyond. The CIS giants Natus Vincere will be looking to show that they’re a dominant force in Europe. They’ve struggled to produce in a number of events, but this is outweighed by the times they’ve demonstrated that they’ve got what it takes to succeed. 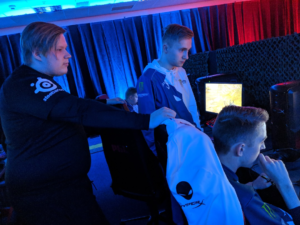 Made up of the best Russian players from a variety of different squads, cohesion and chemistry will be among the only obstacles that may get in the way of Na’Vi. Formerly known as Welcome to South George (WTSG), Ninjas in Pyjamas proved themselves as one of the best teams out there with two third-place finishes in last year’s PUBG Global Invitational. The squad hasn’t performed to the best of its ability under the iconic organisation so far but having an extended period of competition will only benefit the mixed-nationality roster. Under the masterful guidance of Martin “dohfOS” Lundén, we’re predicting greatness for NiP in the inaugural phase. The sheer amount of talent in the PEL will make it difficult for several teams to excel, and Team SoloMid may well be one of those that struggle. The roster is full of talented players but historically, this organisation has struggled in PUBG and we can’t help but feel as if this will continue in Phase 1. We’re happy to be proven wrong but we’re not convinced about this new-look roster just yet. Alpochinki narrowly made it into the PEL and we don’t think that’s happenstance. The fact of the matter is that the European region is one of the strongest in the entirety of the game and that means competition is stiff. Mid-2018, the team struggled massively when competing against just the CIS region and they didn’t instil us with much confidence during the closed qualifier. A top-half finish in Phase 1 for Alpochinki would be considered a huge success, but we won’t be holding our breath. Known as Saunabois until recently (and HAVU Gaming before that), Winstrike is a tricky team to put your finger on. They’ve not managed to raise any eyebrows in tournaments in the past, and despite having a solid level of talent on the team, we can’t see them breaking this trend over the next two months. Following the end of the first phase is a relegation event comprised of the worst-placing PEL teams and those who performed best in the PUBG Contenders League – the secondary European league that’s made up of teams who didn’t make the main competition. There will also be a global event that features teams from the nine competitive regions! While you’re here, you should also check out our predictions for North America’s National PUBG League!